One of the most frustrating parts of music production is running into software incompatibility problems. Your Pro Tools-based studio needs plug-ins to be in the AAX format, for example, but what if the plug-in you want to use is only available as a VST or AU instrument? Or perhaps your favorite plug-in that used to work in an older version of Pro Tools was an RTAS plug-in that was never updated to AAX—or you simply don’t want to pay more money just to obtain a new “compatible” version of the software you already own, now that you have finally upgraded your aging computer to the latest operating system and Pro Tools release. Maybe your favorite plug-in is no longer available (Alchemy comes to mind). 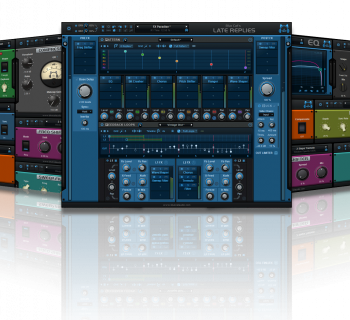 While there have been VST “wrappers” for many years, Blue Cat Audio has released a remarkable plug-in that is far more than just that. 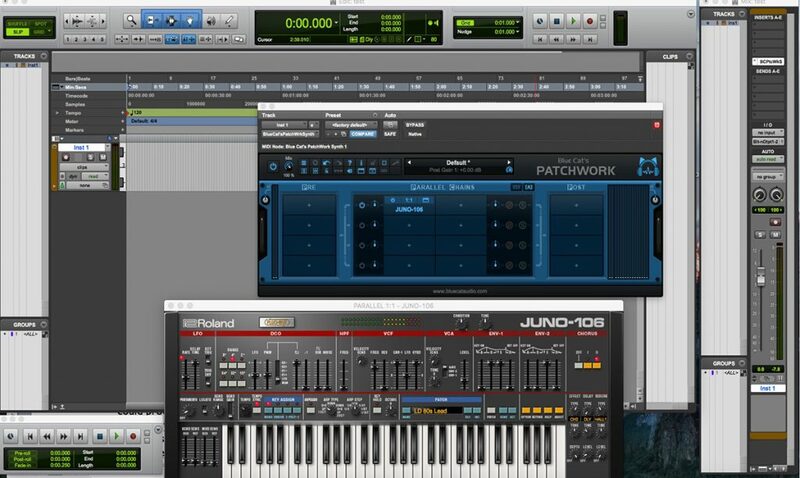 PatchWork, now in version 2, provides a universal plug-ins patchbay that can host up to 64 VST, VST3 or Audio Unit (AU) plug-ins into any DAW in one instance—and it runs as an AAX plug-in. The software is both well designed and very stable, and it has truly improved what we’re capable of doing in our studio. PatchWork has a remarkable feature set that sets it apart from ordinary plug-in wrappers. The highly configurable plug-ins rack can host up to 64 third-party plug-ins or instruments in series or parallel in VST, VST3 or Audio Unit formats. The plug-in itself runs in those formats as well as AAX and RTAS! It presents as an effect, a virtual instrument, or standalone application, which allows you to run it without at DAW, making it useful as a live performance host for virtual instruments. Perhaps one of the things most impressive to us was the ability to build your own effects chains: there are up to eight “pre” and “post” plug-ins slots to chain plug-ins in series. 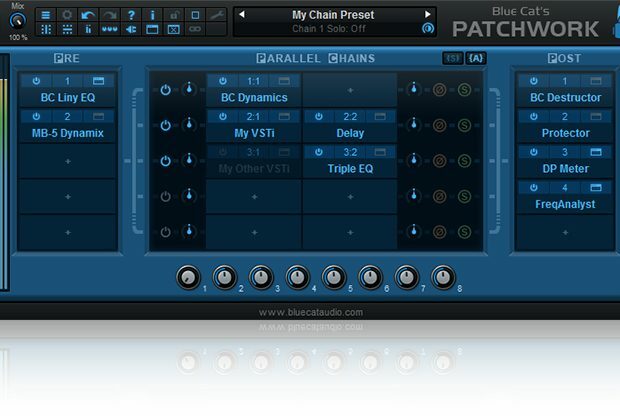 You can also host up to eight virtual instruments in parallel and mix them within PatchWork, and there are dedicated On/Off icons to activate/deactivate plug-ins within your chain. You could, for example, fill each slot with a soft synth, and then toggle each one on/off to switch between sounds during a live set. Pretty cool! MIDI controls are editable too, and you can layer multiple synths. 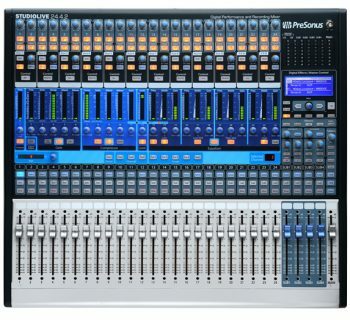 Even better, setups and plug-in layouts can be saved and recalled, which is definitely a time saver if you create a multi-plug-in arrangement. Further nice touches are latency monitoring and I/O monitoring. Even better, setups can be saved and then used across multiple platforms/DAWs. 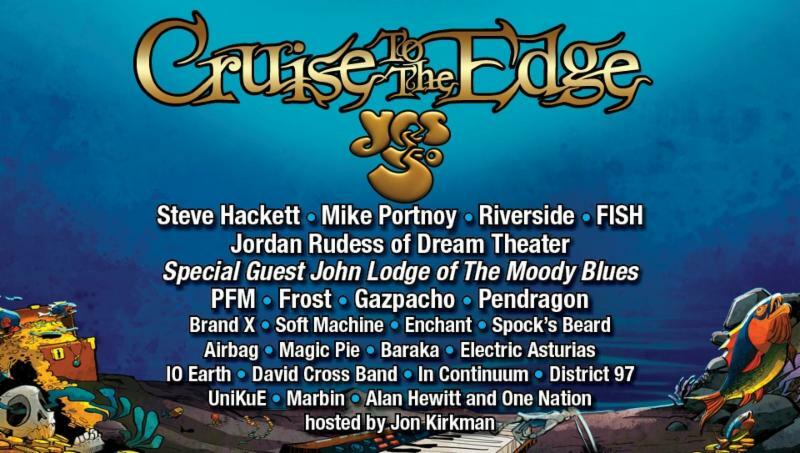 Download, enter your registration code, and off you go! It is a fairly small download, and we were up and running in minutes. We tried out both the standalone application as well as the plug-in version to be used in our studio in Pro Tools 12. PatchWork was quite stable, without crashing on us like some previous wrappers had been in the past. Roland recently launched its Roland Cloud plug-in suite, which features (among other things) a number of classic synths recreated as virtual plug-ins. Sdaly, these plug-ins are not available in Avid’s AAX plug-in format, so we were hopeful that PatchWork could come to our aid. When we filled each slot with a different synth, layering provides for some interesting sounds, and using effects in the slots we were able to build a lengthy effects trail—which could be saved for instant recall when needed. Even better, mixing and matching synths and effects in the different slots can take you to some interesting sonic territory, made simpler by PatchWork’s dedicated routing and mixing controls. 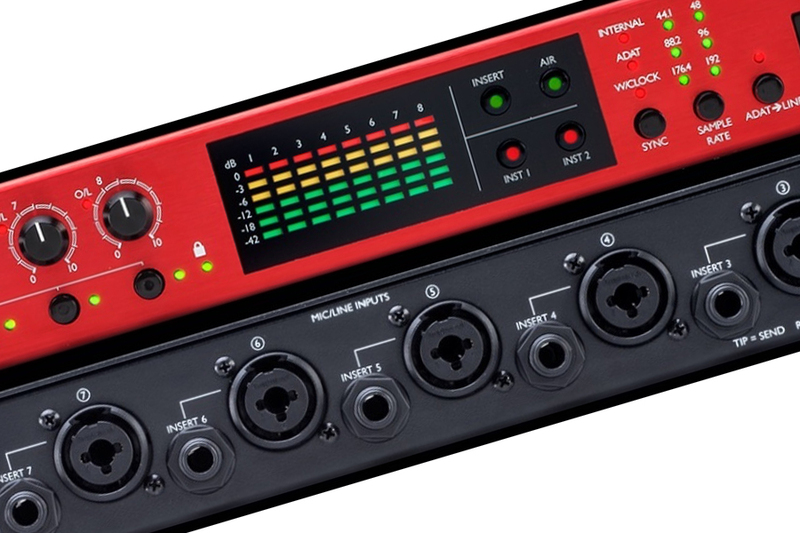 While this concept is not revolutionary (putting effects on instruments), being able to do it within a single plug-in is a definite workflow improvement. 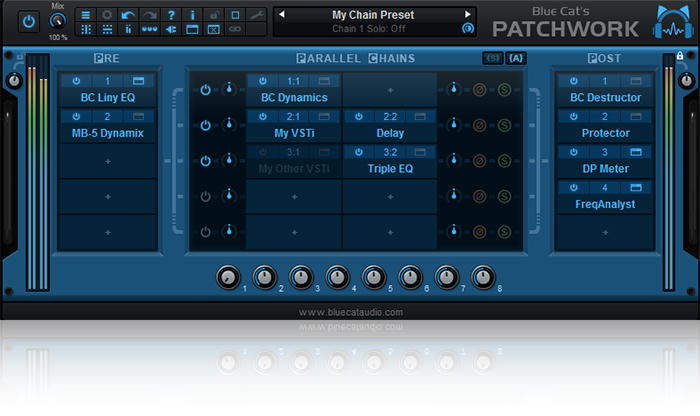 Just to be clear, two versions of the plug-in are included: audio effect and virtual instrument. They both offer similar capabilities (you can host instruments in the effect version, for example), but they will be considered differently by your host application. As per Bluecat Audio: “Simply use the synth version if your main purpose is to host virtual instruments (or MIDI effects), and the effect version if you want to process the signal as an effect.” We didn’t find there were issues using either one. There were no issues related to latency when it came to playing our VST instruments within the PatchWork host plug-in within Pro Tools 12. We found PatchWork useful even in cases where native plug-ins were available. It provides a great host in which to create a complex virtual instrument setup without having to load multiple instruments onto one or more MIDI/instrument tracks. And on the effects side, we were able to create a custom channel strip within one plug-in that could be easily shared across session files. Very useful and time saving! There is a PDF manual as well as online information, including several demo videos on the website. We had only minimal need to refer to the manual as the plug-in is reasonably straightforward in operation. 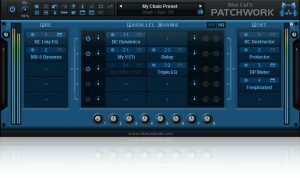 PatchWork sells for $99 USD, and while basic VST wrappers can be had for less, they don’t have the impressive flexibility PatchWork has. 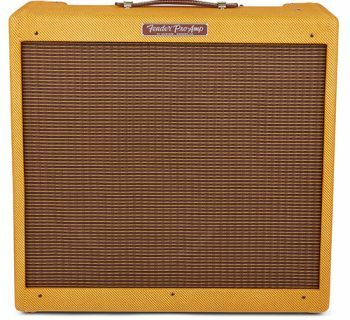 Bluecat Audio’s PatchWork goes far beyond the limitations of simpler wrapper products, and we found it useful in numerous ways. It will definitely have a permanent place in our studio, and maybe yours, too!